Koenigsegg has set a new 447kph world speed record for a production car on a closed public road in Nevada. Sweden’s only hypercar manufacturer has set a world top speed record for a production car after clocking a two-way average of 447kph with its Agera RS on an 17.7km stretch of Nevada highway. 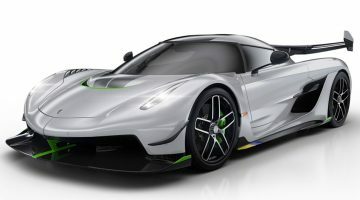 At 19kph faster than the Bugatti Veyron Super Sport and over 11kph more than the Hennessay Venom, Koenigseggis confident it has built the world’s fastest road car. Koenigsegg had permission to attempt the word record attempt on a stretch of highway between Las Vegas and Pahrump, with the authorities closing the 17.7km stretch between 7am and 3pm over two days. However, the team reached its target early on the first day of running. Driven by factory test driver Niklas Lija, the 5.0-litre turbocharged V8 put its 1380bhp to good use to set the new record on its standard Michelin Cup 2 tyres. After a single sighting run Lija set off on his first high speed attempt and returned to record a two-way average of 447kph. It is understood that Lija hit over 458kph in one direction. With the two runs recorded and verified by Racelogic, Koenigsegg is confident it has set the new official road car speed record and will now wait for confirmation of the record and, of course, Bugatti’s response. The Chiron is currently claimed to have a top speed limited to 420kph, although it is claimed to have a 499kph potential. The only factor holding it back from cracking the triple-ton is the availability of a suitable tyre. Michelin is currently working on a tyre capable of withstanding the forces put through a tyre when a 1479bhp, 1996kg car is travelling at nearly four and a half times the UK’s motorway speed limit.